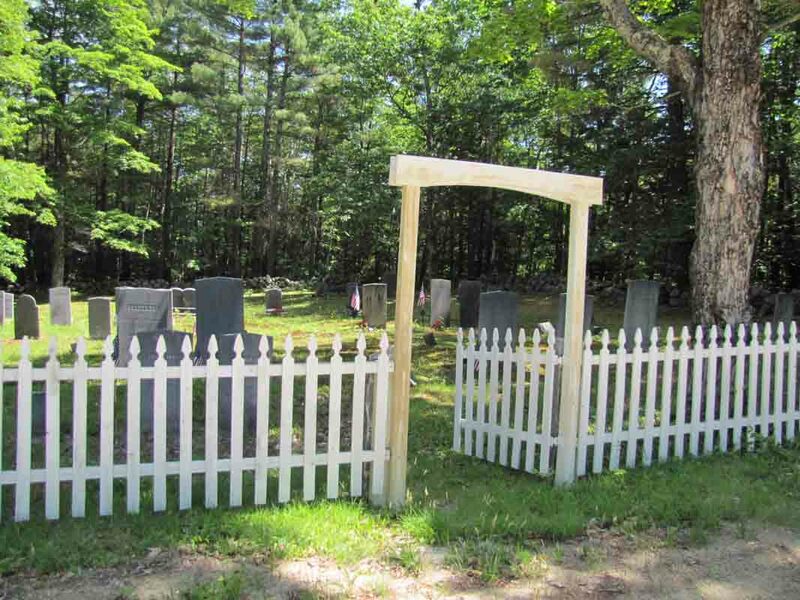 Welcome to the Buckfield Cemeteries home page. The purpose of this page is to provide basic cemetery information and pertinent notes so individual researchers will not have to “reinvent the wheel” by tracking down the same material that others have already found. All directions given below begin at the intersection of Routes 117 and 140. Both routes are considered to run north–south. Route 117 north leads to Turner, and Route 117 south leads to South Paris. 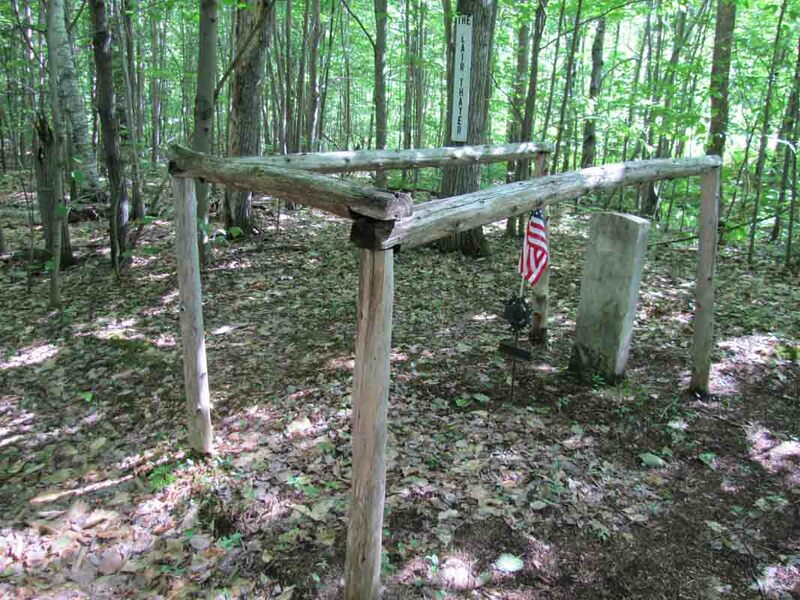 All information, especially source material, for inclusion in this web page should be sent to info@vfthomas.com or mailed to “Buckfield Cemeteries” at the address at the top of this page. 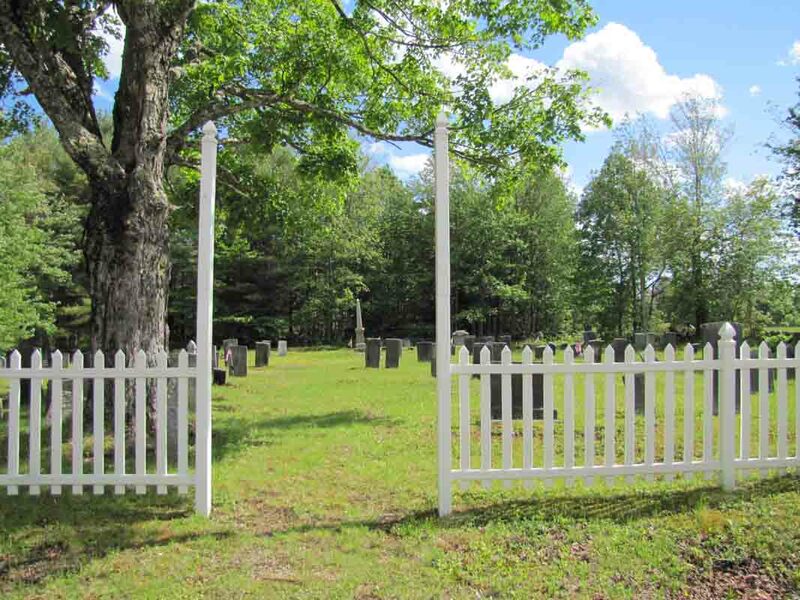 Below is a list of the names of Buckfield's cemeteries. Click on any name, and you will be taken to an entry for that cemetery. Directions. From the intersection of Routes 117 and 140, travel north on Route 140 for less than 0.1 miles to the intersection on the left with North Buckfield Road. 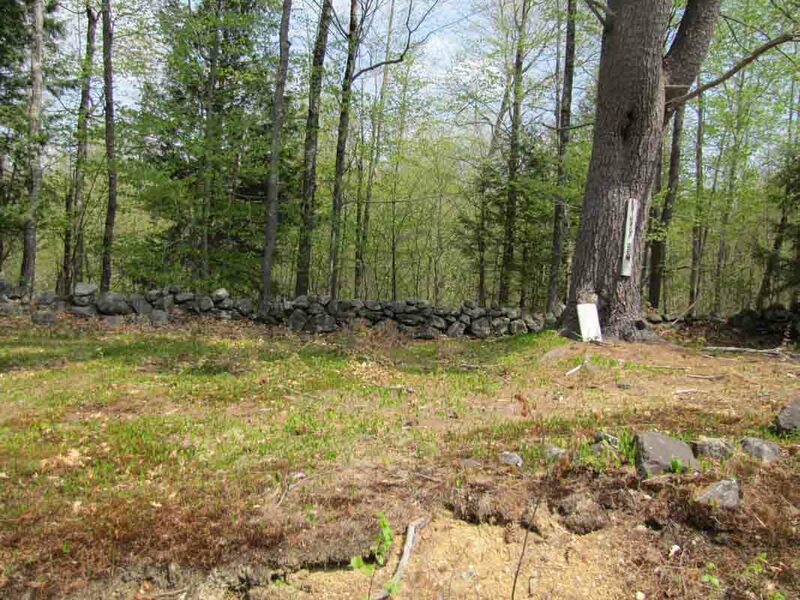 Turn left onto North Buckfield Road, and the cemetery is on the right in approximately 1.1 miles. 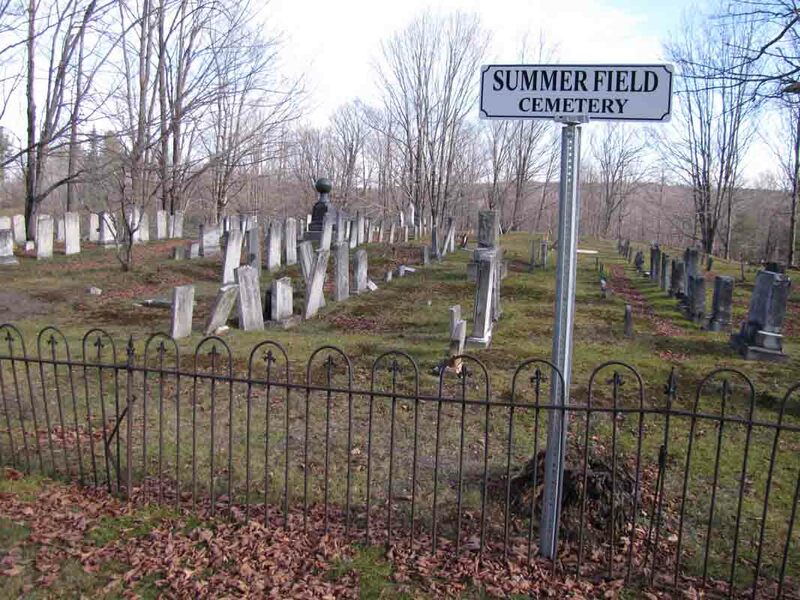 Buckfield Cemetery and Damon Cemetery are adjacent, with Buckfield Cemetery being on the west side. Directions. From the intersection of Routes 117 and 140, travel north on Route 140 less than 0.1 miles to the intersection on the left with North Buckfield Road. Turn left onto North Buckfield Road, and follow it approximately 0.4 miles to the intersection on the right with Sumner Road. Turn right onto Sumner Road, and the cemetery is on the left in approximately 0.1 miles. Directions. From the intersection of Routes 117 and 140, travel north on Route 140 for less than 0.1 miles to the intersection on the left with North Buckfield Road. 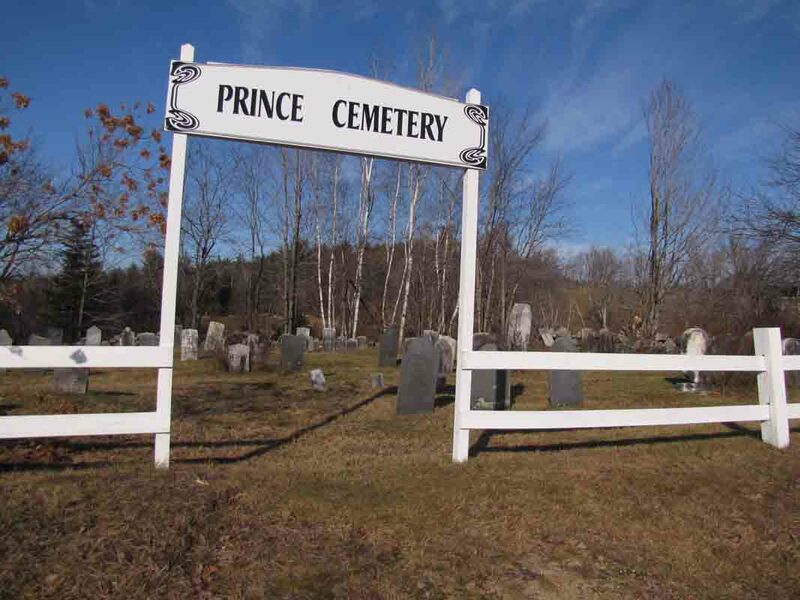 Turn left onto North Buckfield Road, and the cemetery is on the right in approximately 1.1 miles. 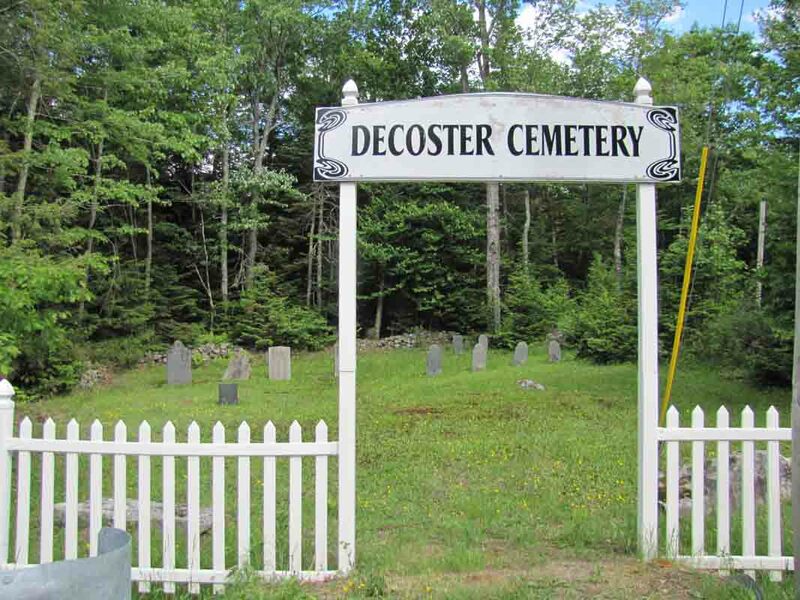 Buckfield Cemetery and Damon Cemetery are adjacent, with Damon Cemetery being on the east side. Directions. From the intersection of Routes 117 and 140, travel north on Route 117 for 0.7–0.8 miles to the intersection on the left with East Buckfield Road. 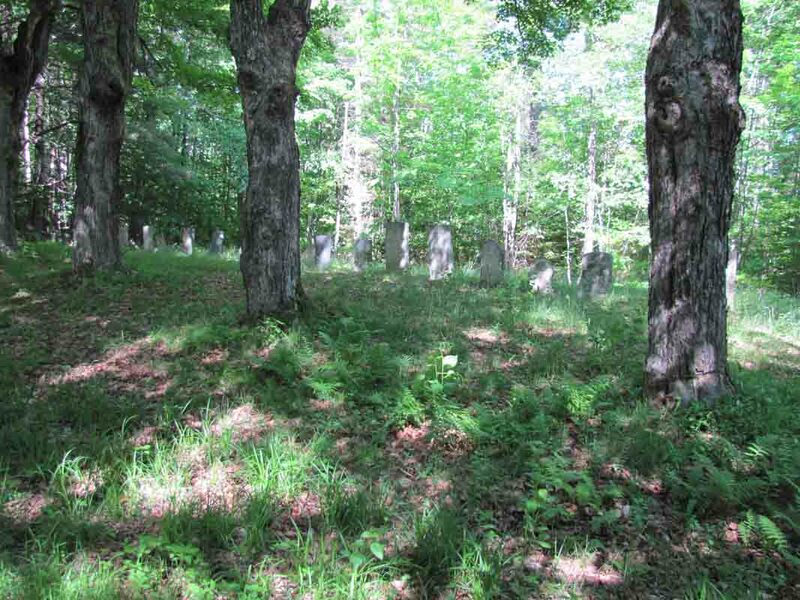 Turn left onto East Buckfield Road, and the cemetery is on the right in 1.7–1.8 miles. Directions. From the intersection of Routes 117 and 140, travel north on Route 117 for 0.7–0.8 miles to the intersection on the left with East Buckfield Road. Turn left onto East Buckfield Road, and follow it 1.8–1.9 miles to the intersection on the right with Bear Pond Road. Turn right onto Bear Pond Road, and the cemetery is set back (and a bit downhill) from the right side of the road in 0.8–0.9 miles. Directions. From the intersection of Routes 117 and 140, travel north on Route 117 for 0.7–0.8 miles to the intersection on the left with East Buckfield Road. 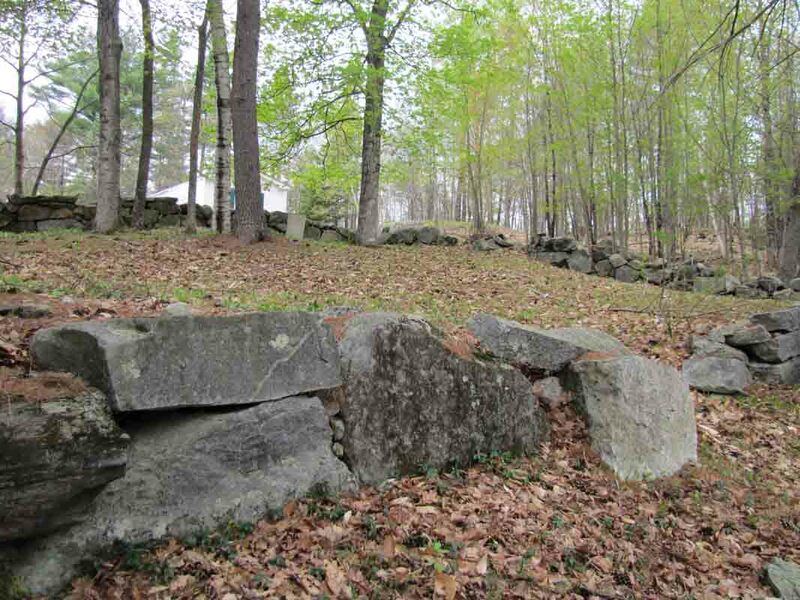 Turn left onto East Buckfield Road, and the cemetery is on the right in approximately 1.2 miles. Directions. From the intersection of Routes 117 and 140, travel south on Route 117 for 4.0–4.1 miles to the intersection on the right with North Whitman School Road. 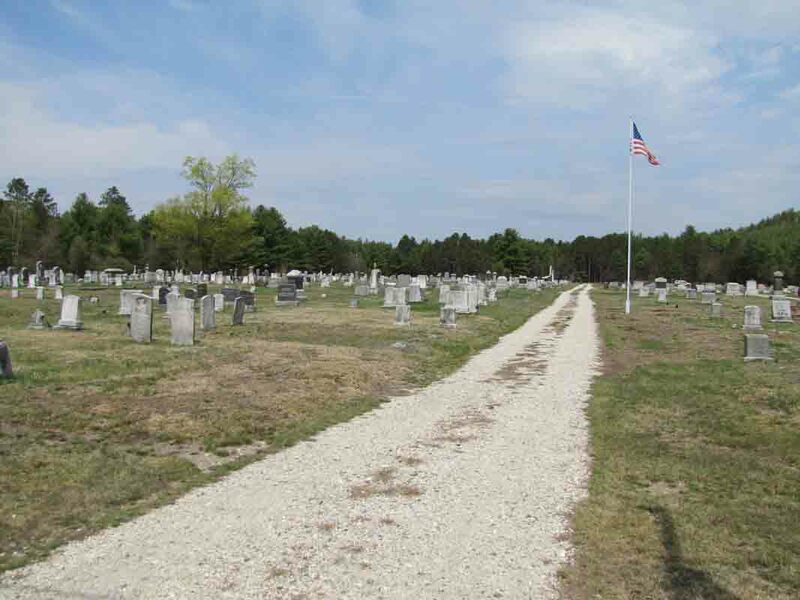 Turn right onto North Whitman School Road, and the cemetery is on the right in approximately 0.4 miles. Directions. From the intersection of Routes 117 and 140, travel north on Route 117 for 0.7–0.8 miles to the intersection on the left with East Buckfield Road. Turn left onto East Buckfield Road and follow it for 1.5–1.6 miles to the intersection on the left with Gammon Road. Turn left onto Gammon Road and follow it for approximately 1.2 miles to its end. (Here there is a place to park on the right side of the road.) Walk along the trail, which continues in the same direction as Gammon Road, and the cemetery is soon on the right. Directions. From the intersection of Routes 117 and 140, travel south on Route 117 for approximately 1.0 mile to the intersection on the left with Sodom Road. Turn left onto Sodom Road, and the cemetery is on the left in approximately 1.9 miles. Directions. From the intersection of Routes 117 and 140, travel north on Route 117 for approximately 2.6 miles to the intersection on the right with Route 124. 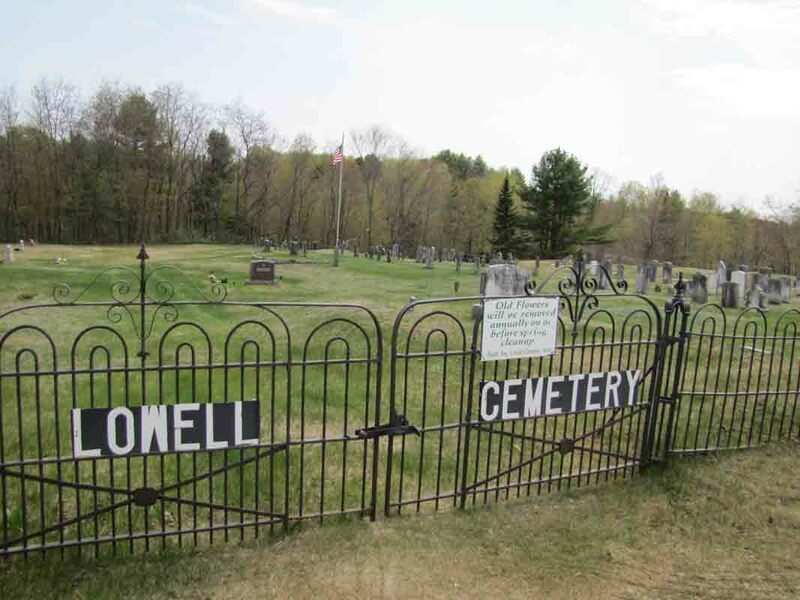 Turn right onto Route 124, and the cemetery is on the left in 0.8–0.9 miles. Directions. From the intersection of Routes 117 and 140, travel south on Route 117 for 4.0–4.1 miles to the intersection on the right with North Whitman School Road. 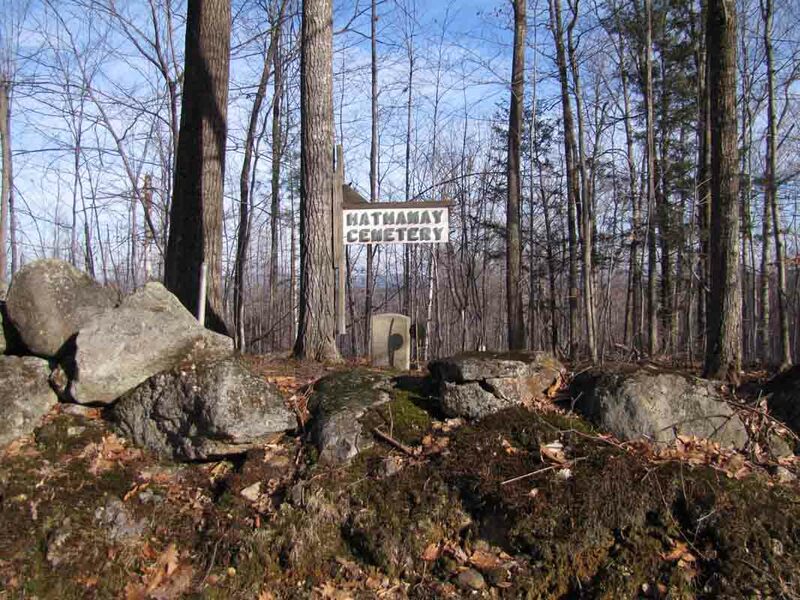 Turn right onto North Whitman School Road, and a well-worn and initially steep path leading to the cemetery is on the left in 0.4–0.5 miles (just beyond but on the opposite side of the road of Hathaway Cemetery). Directions. From the intersection of Routes 117 and 140, travel south on Route 117 for approximately 1.0 mile to the intersection on the left with Sodom Road. Turn left onto Sodom Road, and a trail to the cemetery is on the left in approximately 1.4 miles. 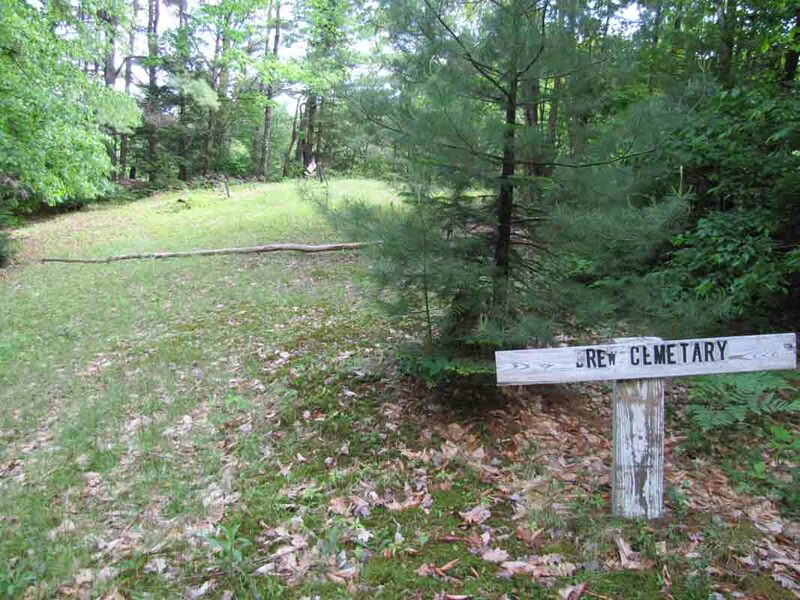 There is a sign for the cemetery and a sign for Virgil Parris Forest / Packard Trail. 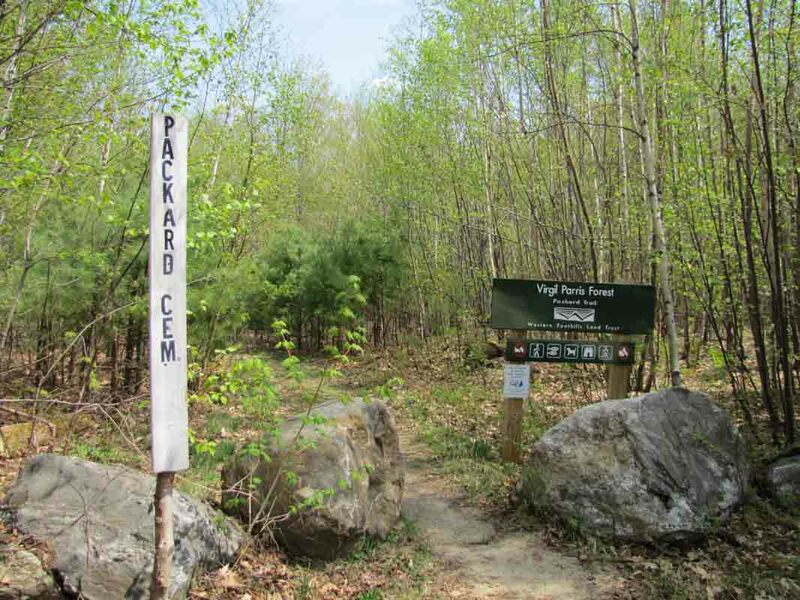 Follow the path to the intersection with Packard Trail, and turn left onto Packard Trail. The cemetery is very soon on a knoll on the right. Directions. From the intersection of Routes 117 and 140, travel north on Route 140 less than 0.1 miles to the intersection on the left with North Buckfield Road. Turn left onto North Buckfield Road, and follow it 1.3–1.4 miles to the intersection on the left with Paris Hill Road. 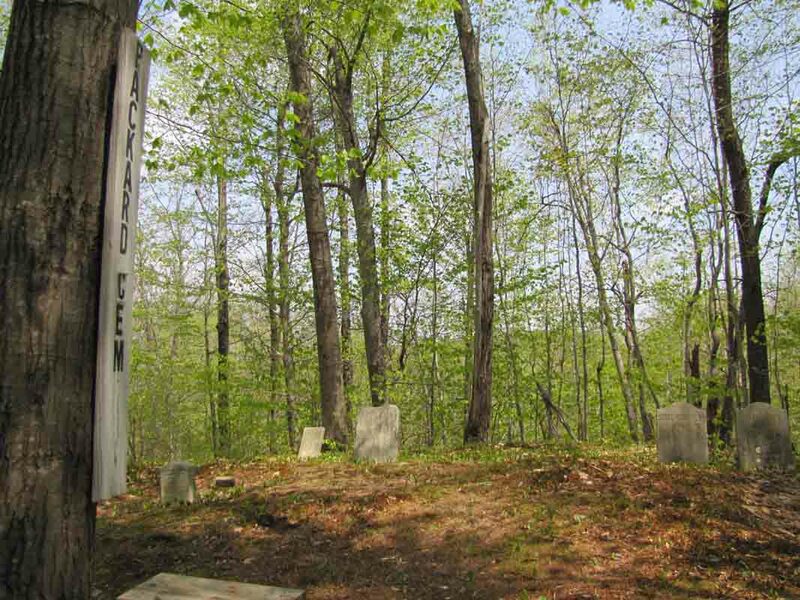 Turn left onto Paris Hill Road, and the cemetery is on the right in approximately 2.1 miles. Directions. From the intersection of Routes 117 and 140, travel north on Route 140 less than 0.1 miles to the intersection on the left with North Buckfield Road. Turn left onto North Buckfield Road, and follow it approximately 0.4 miles to the intersection on the right with Sumner Road. Turn right onto Sumner Road, and the cemetery is on the right in 1.5–1.6 miles. Directions. From the intersection of Routes 117 and 140, travel south on Route 117 for 2.1–2.2 miles to the intersection on the left with McAllister Road. Turn left onto McAllister Road, and the cemetery is on the left in 0.3–0.4 miles.